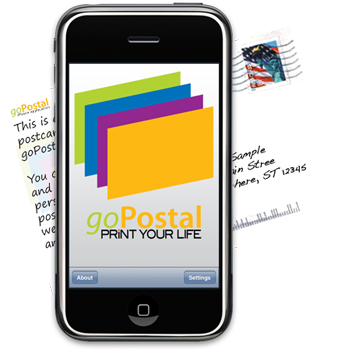 In April of 2009, we launched the goPostal iPhone app, one of the very first applications that allowed you to send physical, personalized postcards directly from your iPhone. Over the years, we have worked with over 13,000 users to send 55,791 postcards from all over the world. We've seen postcards sent from all different countries, all different continents. We've delivered travel photos, Christmas photos, and save the date photos. Unfortunately, all things must come to an end. After 8 wonderful years helping share your memories, we are closing down goPostal and PrintYourLife, and moving on to bigger and better things. We thank you sincerely for all your support and your patronage! It has been a pleasure helping every one of you share your memories with your friends and family. If you have any questions, you can still reach us by email; don't hesitate to drop us a line! Sincerely, Kevin, John, and the entire PrintYourLife team.